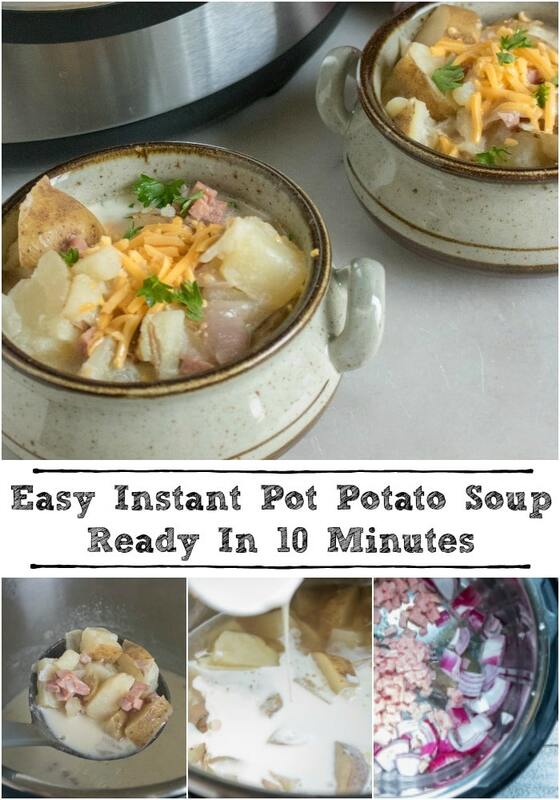 Easy Instant Pot Potato Soup Ready In 10 Minutes! The nights are longer and the cool air has finally settled in, even here in south Louisiana. One thing I love about this time of year is that it is hearty soup season! 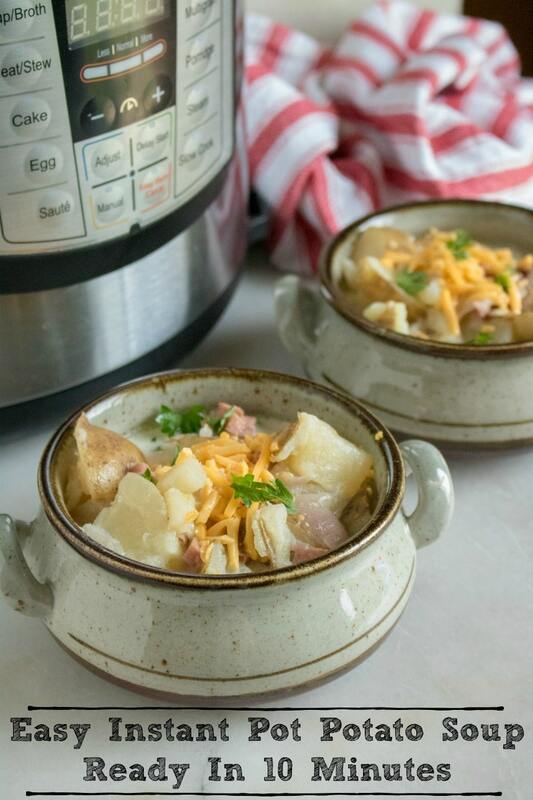 If you’re looking for a great soup that will keep your family warm and coming back for seconds; you have to give this Easy Instant Pot Potato Soup a try. Not only is it delicious, but it is ready in 10 minutes. That’s right, just 10 minutes of cooking time. Even with the prep time added in, it will be ready for your family to enjoy in less than 20 minutes. That makes this soup a winner all around. You can substitute sausage, chicken, or even steak for the ham to give it a twist. Let me know how you like it and if you changed it up any. Going from summer to winter overnight definitely changes the outlook for my menu. I am baking in the oven more and pulling out my recipes for more hearty, filling soups. My kids look forward to coming home from basketball practice and games to a great comfort food like potatoes and ham. 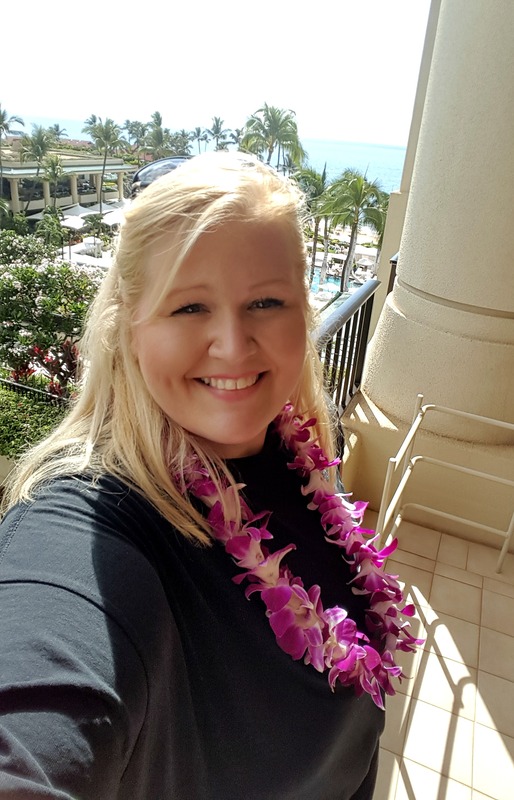 It is so easy to make and easy for them to come home and just fill their bowls and bellies. Saute onions and ham for 2-3 minutes. Add in potatoes, chicken broth, and seasonings. Close Instant Pot and set to sealing. Set to a manual high-pressure cook time of 8 minutes, allowing for a quick release of pressure at the end. Add in heavy cream and heat on saute setting to let soup thicken for 1-2 minutes before serving.